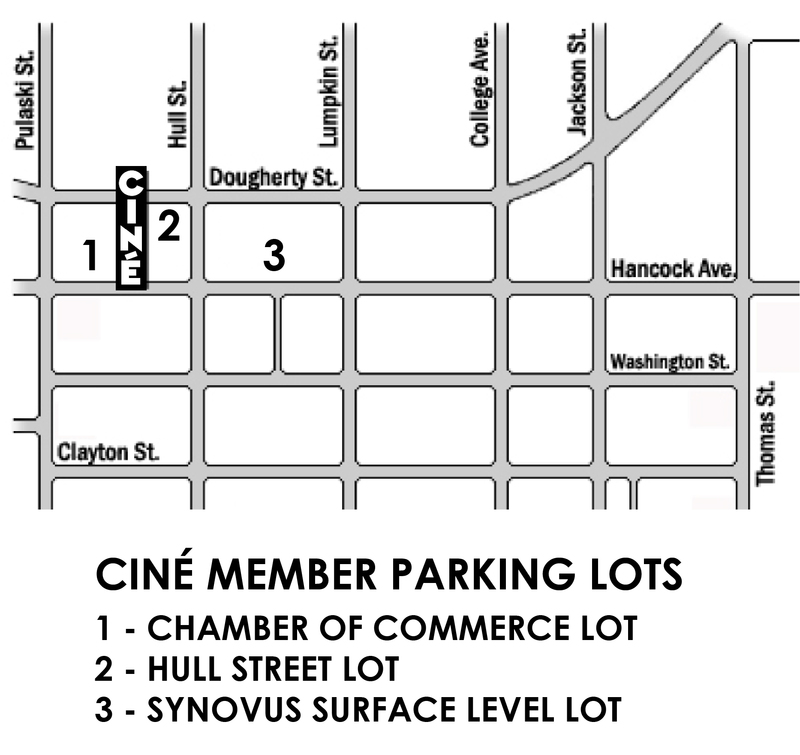 Ciné continues to partner with Prestige Parking to offer free parking to our Members when attending screenings and events with these THREE FREE member parking locations. Please see below, and take time to learn exactly when, where and how you can take advantage of this membership perk. NEW! The Chamber of Commerce parking lot directly next door is now available for Member parking! With this change, the Clayton & Pulaski Street lot is no longer available for Member parking. • Only available for current Ciné members when attending a screening or event at Ciné. • A valid parking pass must be clearly displayed in the vehicle's front windshield. • Free parking is not available on UGA home football games.